MMO MMORPG News·Game Reviews·Cabal Europe Tour: Investigating an amazing game in one day! Cabal Europe Tour: Investigating an amazing game in one day! Cabal Online Europe Tour: Investigating an amazing game in one day! Cabal Online is a fast-paced action MMORPG. It is licensed and published for the European English language market by Game-Masters.com. 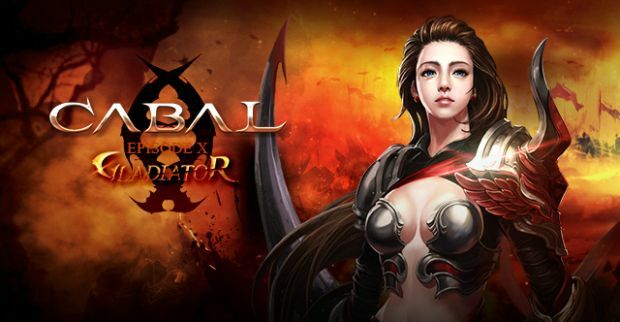 Cabal is a well known MMORPG among most gamers. The tour took place on the European servers. The contact with Game Masters went really well and they helped me whenever I needed them. After all the preparations it was finally time to do the tour! From the moment I entered the game I was pretty amazed. I used to play Cabal on an older computer, which meant that I had almost all the settings on low. Playing the game on the maximum settings was a real blast. The graphics were nice and the characters looked pretty decent. The character customization, however, was disappointing. You do not have many hairstyles and faces to choose from, which automatically leads to encountering many duplicates of your character in-game. After meeting with Christo, the experienced Cabal player, and Anthony, Game Master’s community person, we were ready to set off. The first thing we did was checking all the available towns and fields of the game. A snowy town, a desert, a small settlement in the middle of the forest and so on! I was glad that the scenery showed so much variety. The gameplay was a little bit choppy, though. I, and other Cabal Online players, kept getting stuck without a real reason, which was not what I expected after taking a look at the game. It seems as if the developers did not pay much attention to the details. After the sightseeing Anthony had to leave, but Christo decided to do a few dungeons with me so I could try the combat. The attacks and skills did not really impress me. They did look cool, being flashy and all, but the battles did not take any skill. I found myself pressing random skills and drinking some potions from time to time until my opponent was finally dead. It is really fun to look at your character stabbing a monster for a few times, but it gets really repetitive, especially with the huge amount of grind. The dungeons were as choppy as the towns. I decided to change my setting, restart my computer and so on, but nothing really helped. One of the party members ensured me that the choppiness was part of the game and that there was nothing to do about it. The community of the game was really awesome. My party members told me about the game while crawling through the dungeons and they gave me a few tips and Christo did everything he could to increase my knowledge of Cabal and it actually worked! I have learned a lot about Cabal in that single day and I have to say that it was really worth it, despite the choppiness and the grindy combat. At the end of the tour we decided to take a look at the toughest monster in-game. It was basically a huge flying robot with tons of minions around him. Killing the minions wasn’t a problem but the boss itself dealt a huge amount of damage so we decided to leave him alone after attempting to kill it. The tour was truly amazing. It was a nice and original way to inform a journalist about the game. Christo did a wonderful job and so did Anthony. The tour that I took was very informative. I learned a lot about Cabal and its features and all of that in just a single day, and now it is my time to inform you guys about this flashy game. Cabal can undoubtedly be seen as a creative MMORPG. The game has 6 unique classes with many bright skills. You can gain skills by using skill points, which you can obtain by using your skills frequently, which is pretty awesome. The battle system is connected to the skill system, but I have to mention that it is pretty repetitive and definitely not unique. It is the basic point and click combat with tons of skills and auto-attack. Cabal Europe’s community is great. There is always someone that wants to help you out. Most of the players are very nice and polite and almost everybody speaks English. There is nothing wrong with the population either; Lower level towns might be quite deserted, but all the others are actually overpopulated. It might also be a good idea to search for a guild after leaving the lower level area. Guilds are very important in Cabal, especially for dungeons and PvP. Getting in a guild is not very hard; There are always guild leaders who are looking for new members. Just as many other MMORPGs Cabal offers you some exceptional features including Nation Wars, Alchemy and Crafting. There is not much to say about these features other than recommending you to try them out when you get the chance! Cabal Online is one of these games that deserves a try, even though it is not the most unique or the most fascinating free to play game. The graphics and community of the game are definitely astonishing, but Cabal is not my cup of tea because of the bad customization, dull combat and the lack of originality. It did not amaze me in terms of gameplay, but that is just me. Cabal Online offers its players a wonderful time and it is definitely worth a try for those who have never played it, and for me? Well, I had a great time, but I will leave it at that. Now we finally get to the aspect you have all been waiting for: The ratings. Gameplay: 7/10. Unoriginal gameplay, no skill required. Graphics: 9/10. Wonderful scenery and flashy skills! Community: 9.5/10. Amazing, helpful and polite. Presentation: 6/10. Choppy, not very detailed, bad customization. Overall: 7.9/10. Definitely worth a try!